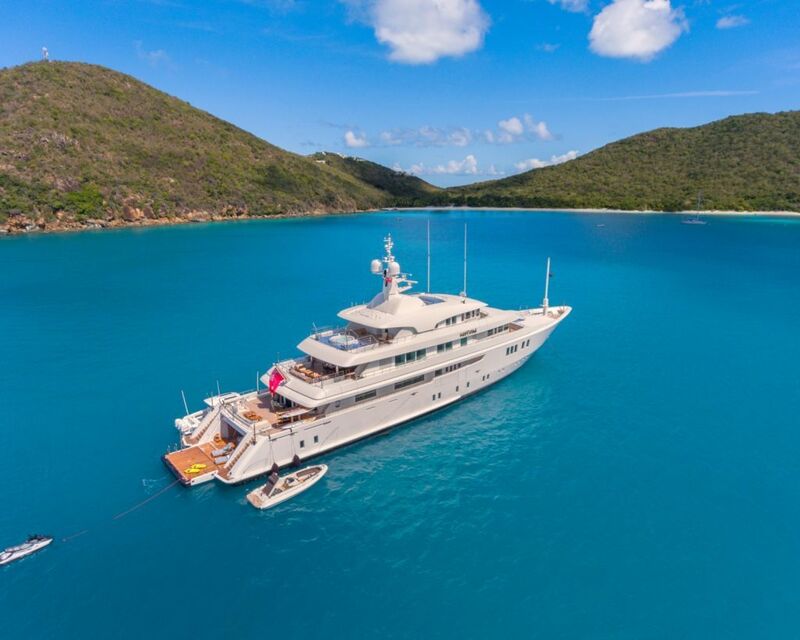 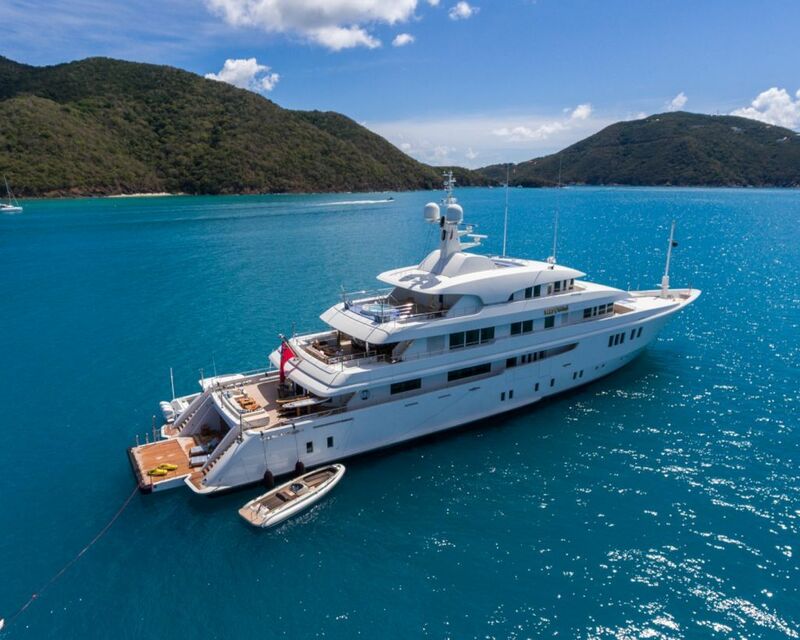 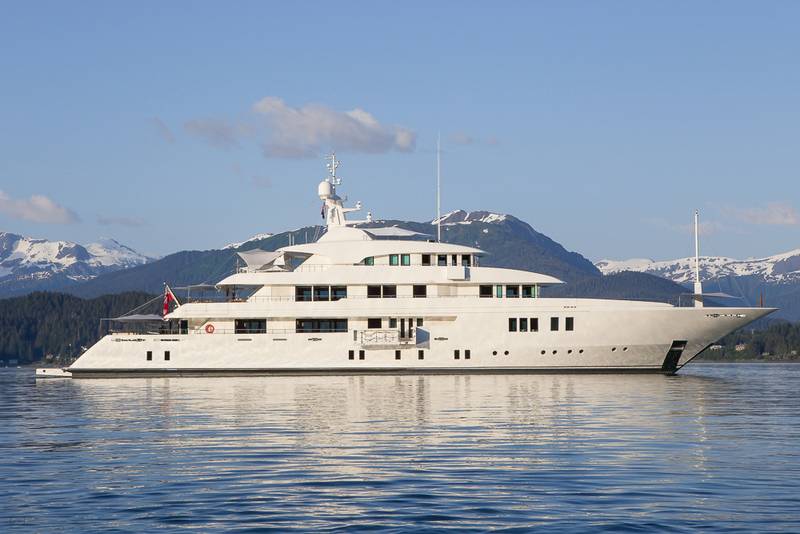 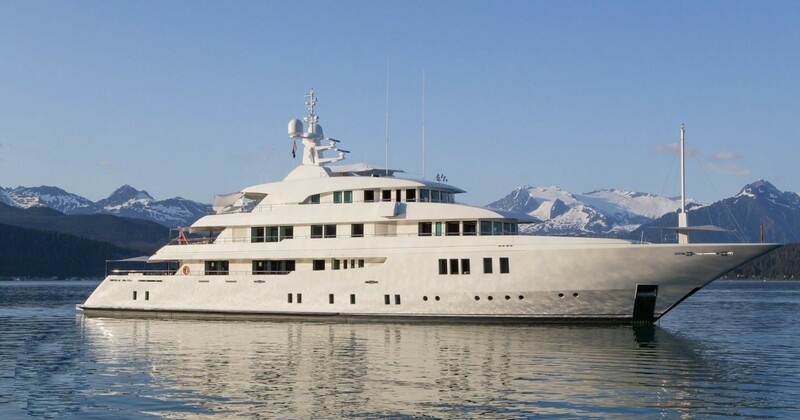 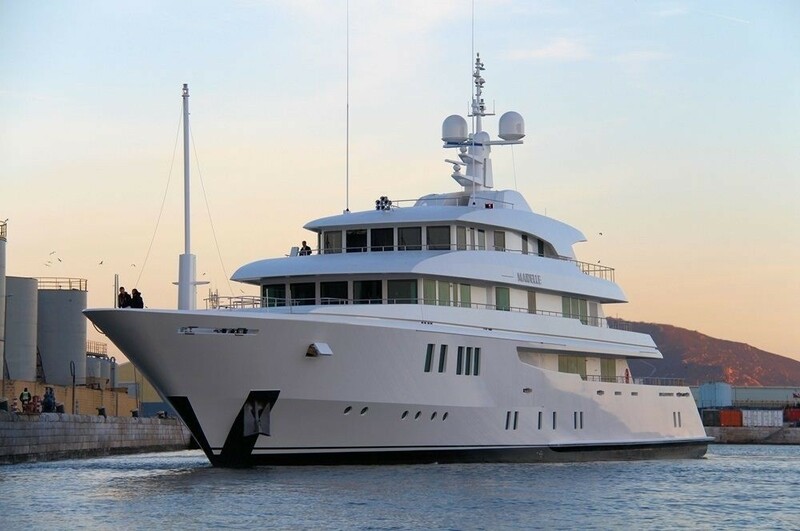 This striking 62m/205ft charter superyacht was built by Icon Yachts in 2013 and is constructed with a steel hull and aluminium superstructure. 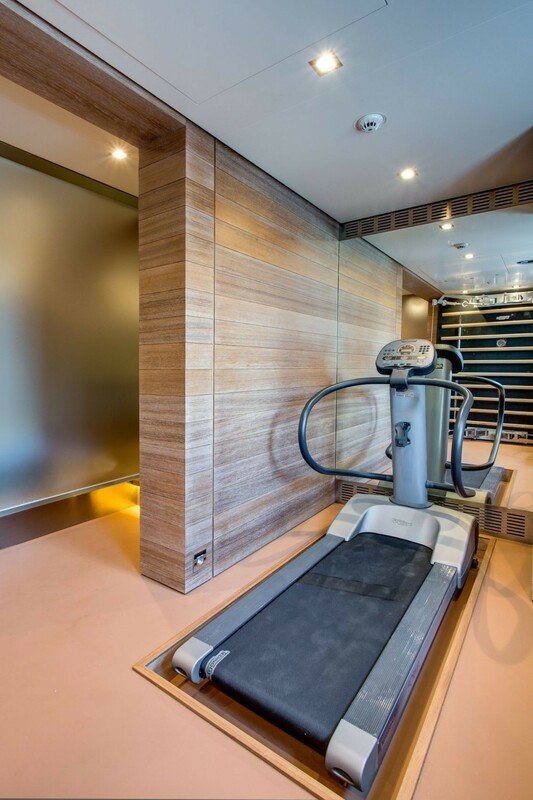 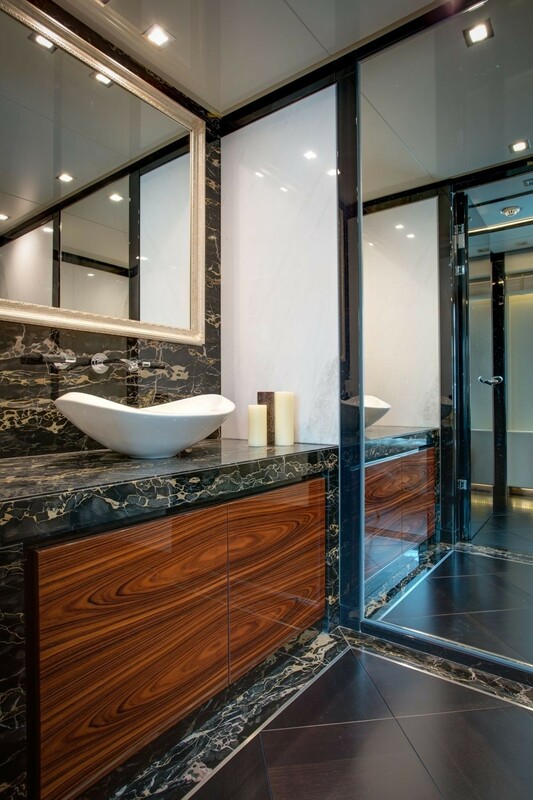 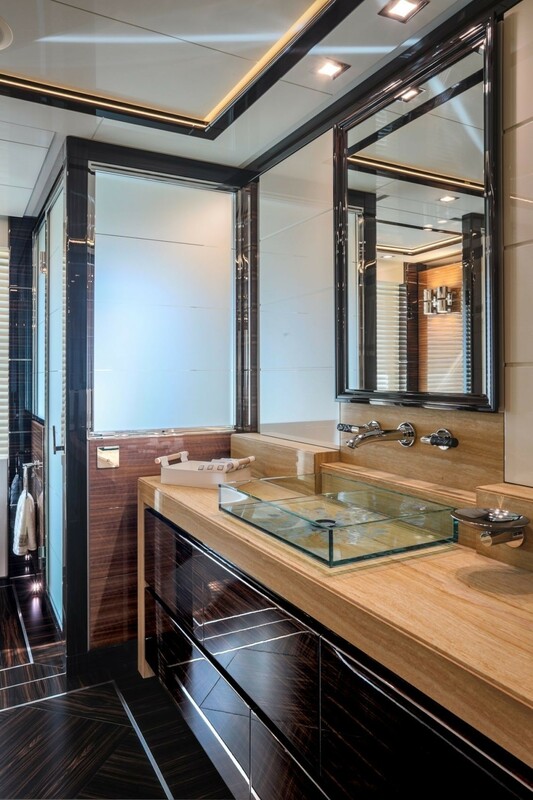 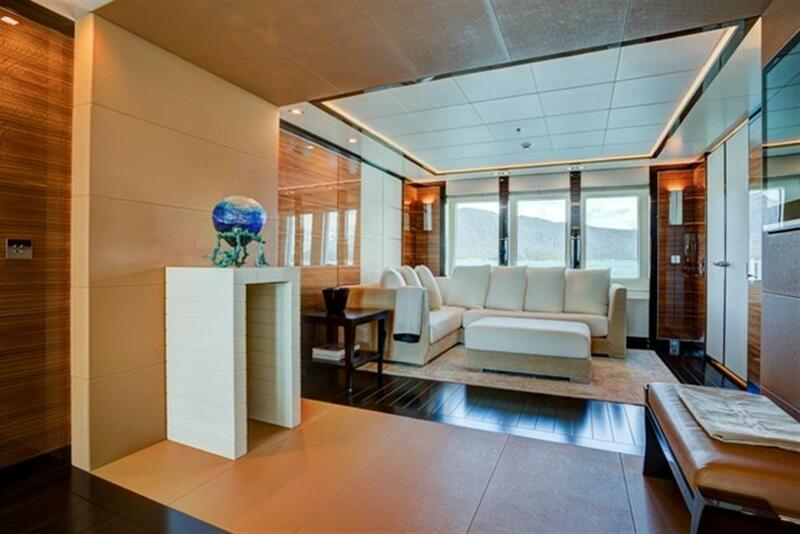 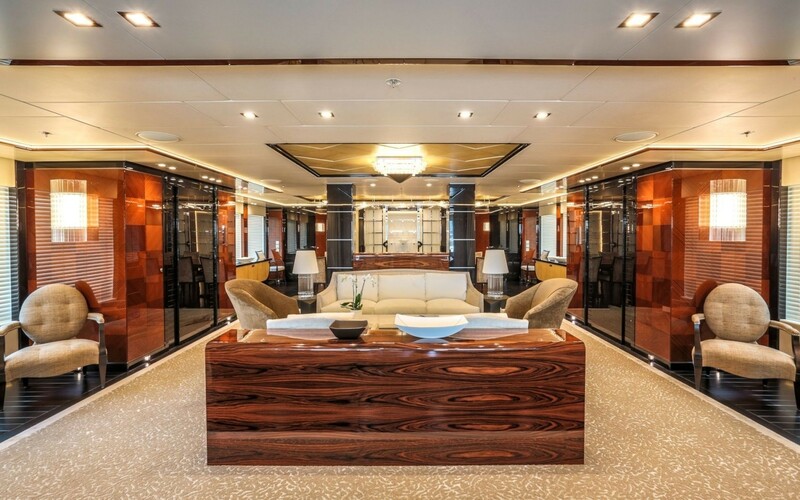 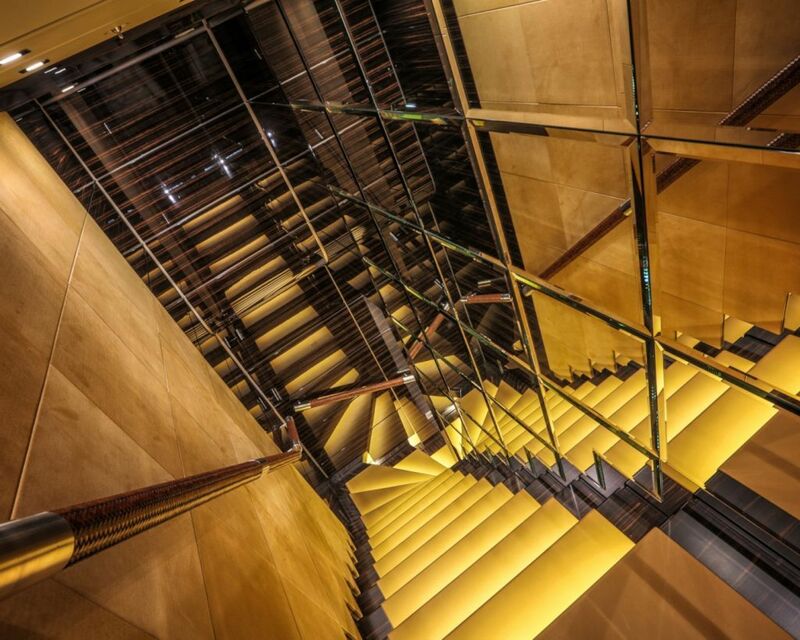 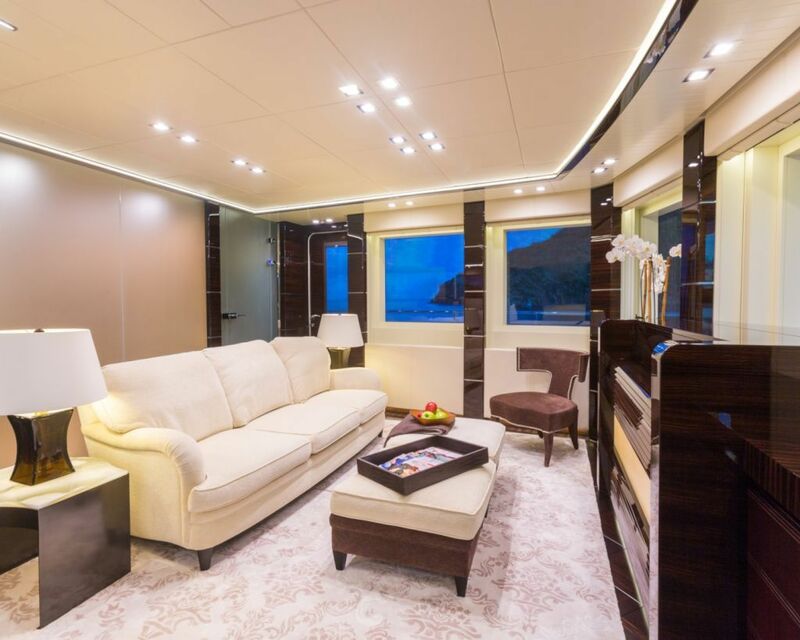 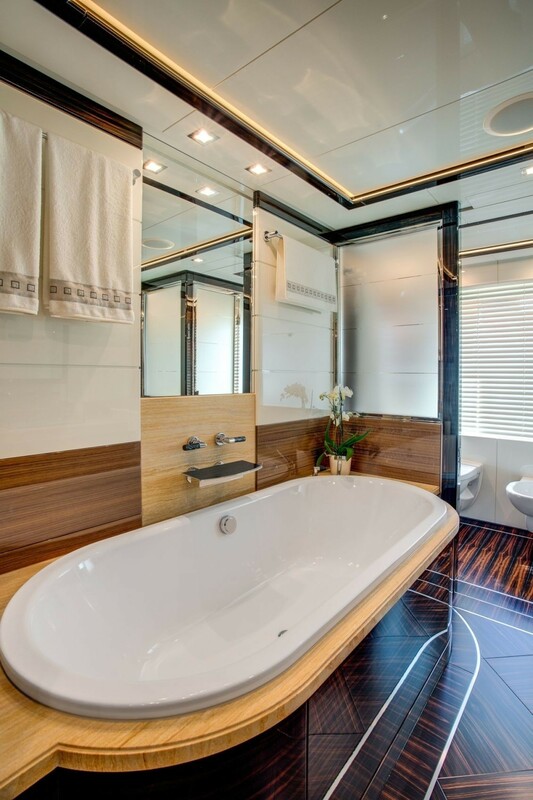 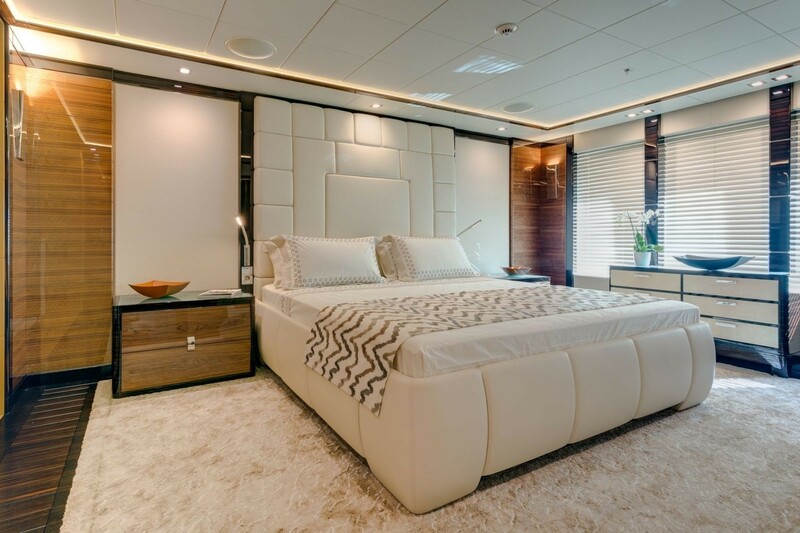 Designed by naval architects RWD, her interior styling is the work of Cristiano Gatto Design. 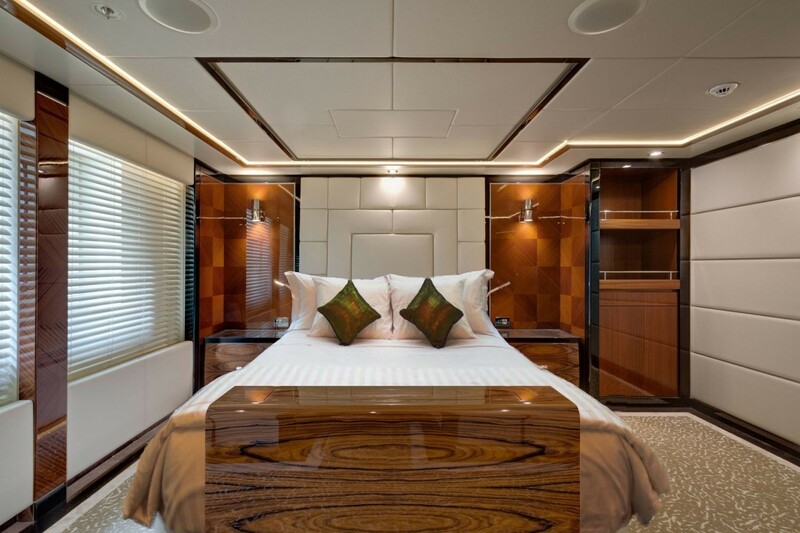 Her accommodation sleeps a maximum of 12 guests over eight cabins. 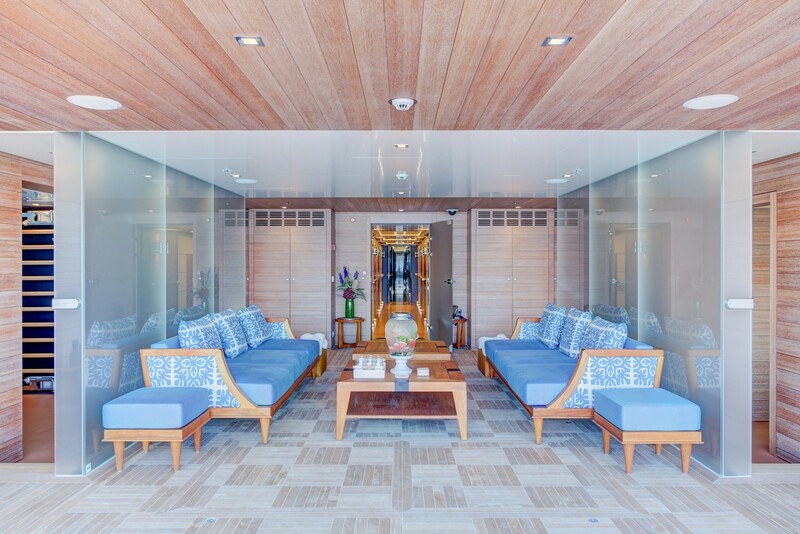 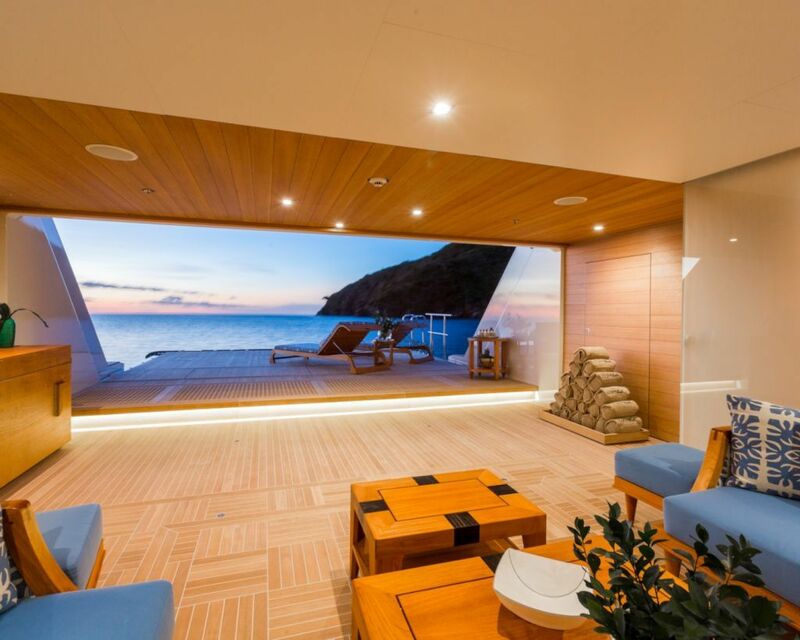 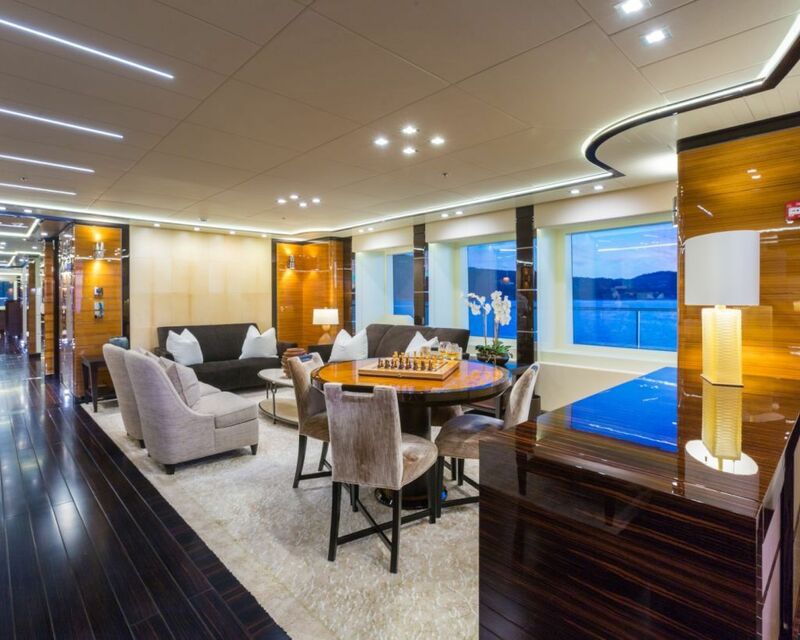 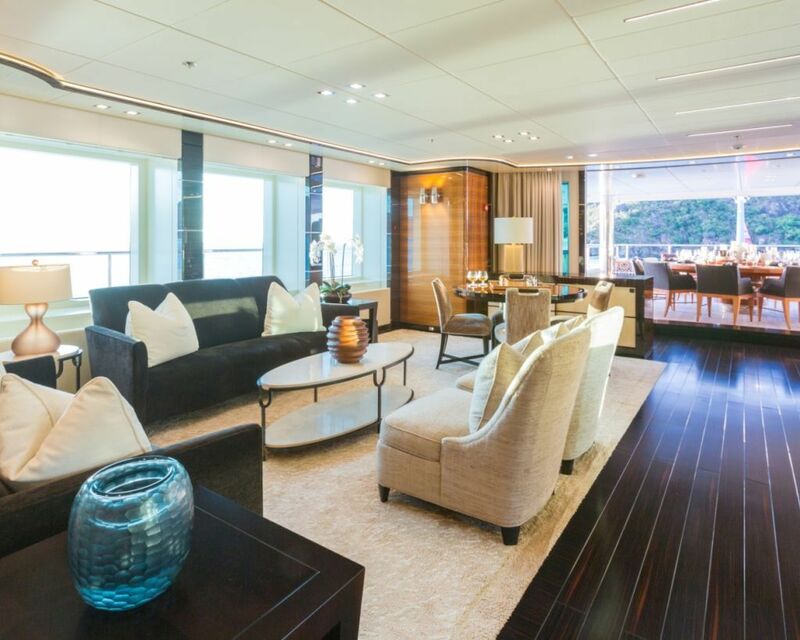 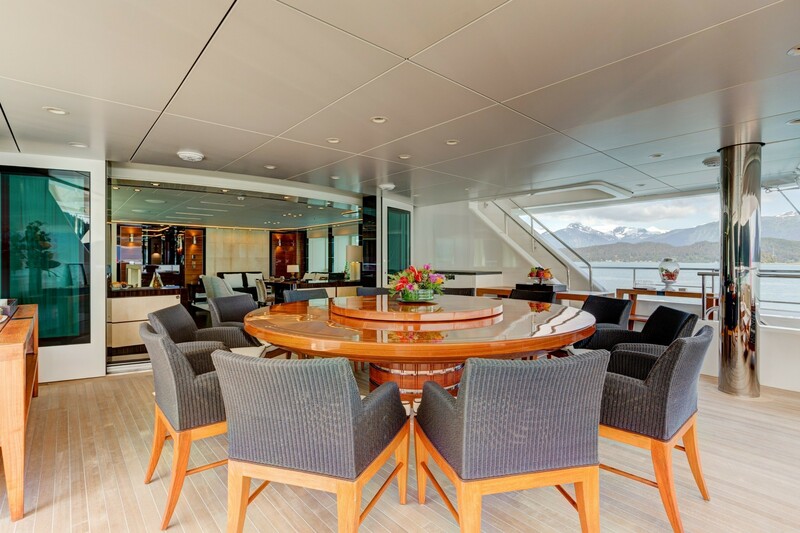 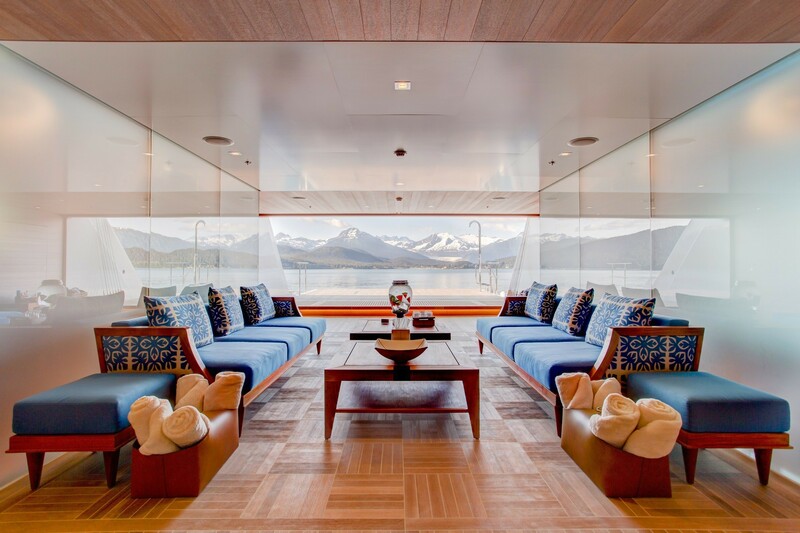 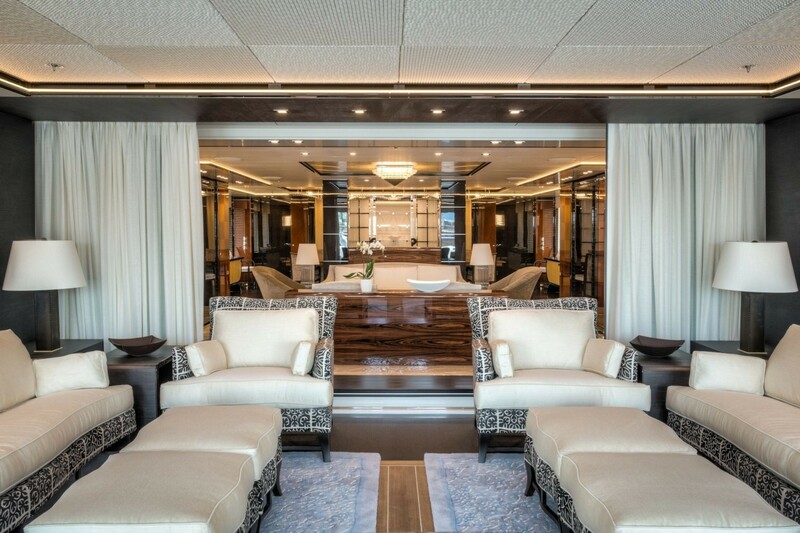 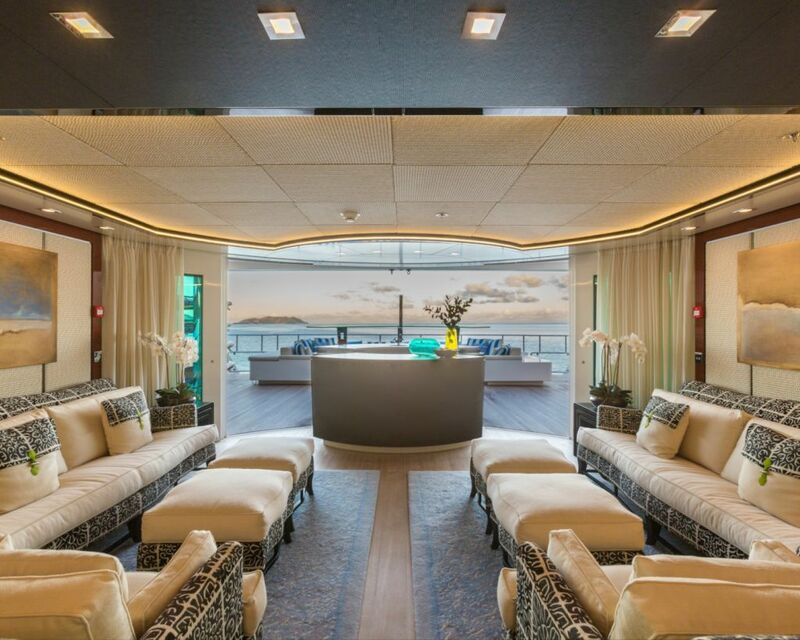 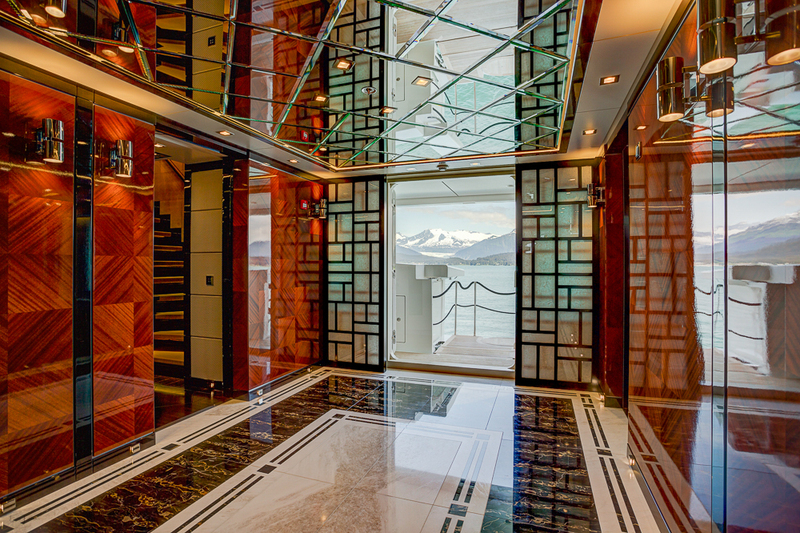 The main deck aft features a 'winter garden' which can be used as an internal or open-air space, with glass panels sliding back to let in the ocean air. 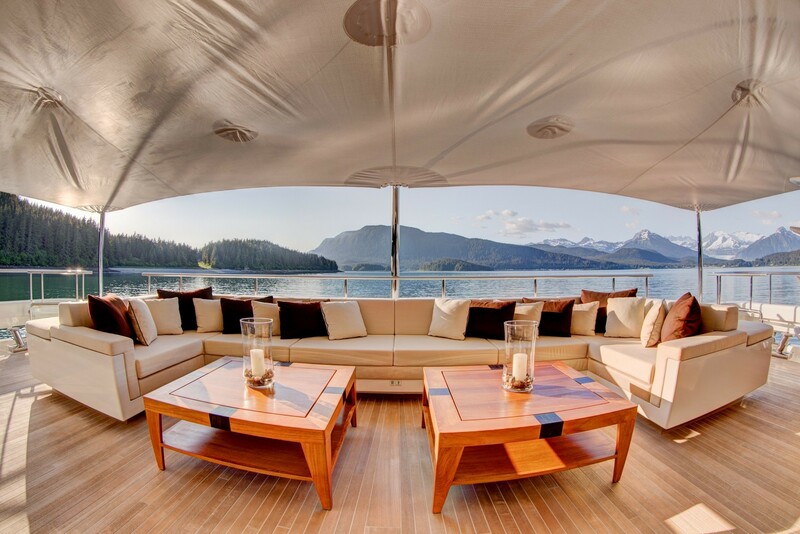 Along the stern there is a comfortable settee and a raised table ideal for informal alfresco dining or for resting reading material, electronic gadgets and other pastimes. 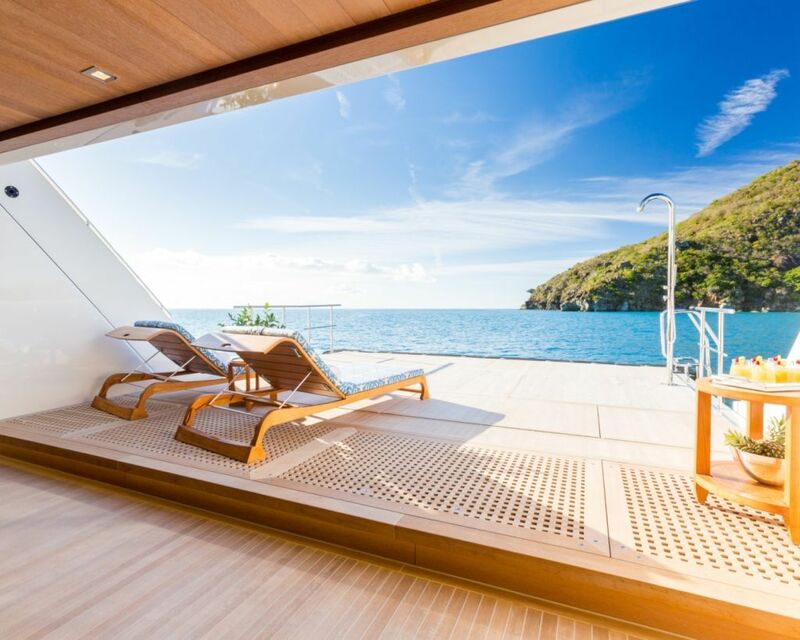 Two staircases connect down to the beach club and swim platform, the latter of which is deep enough to be used for sunbathing beside the water. 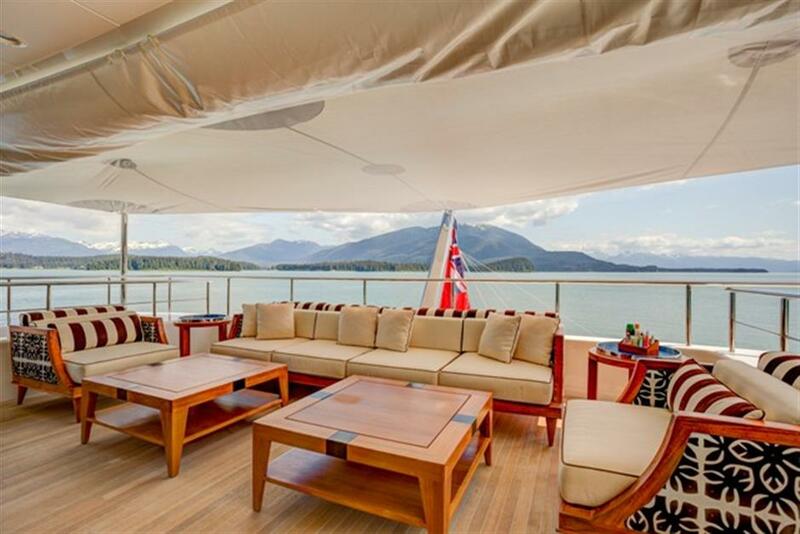 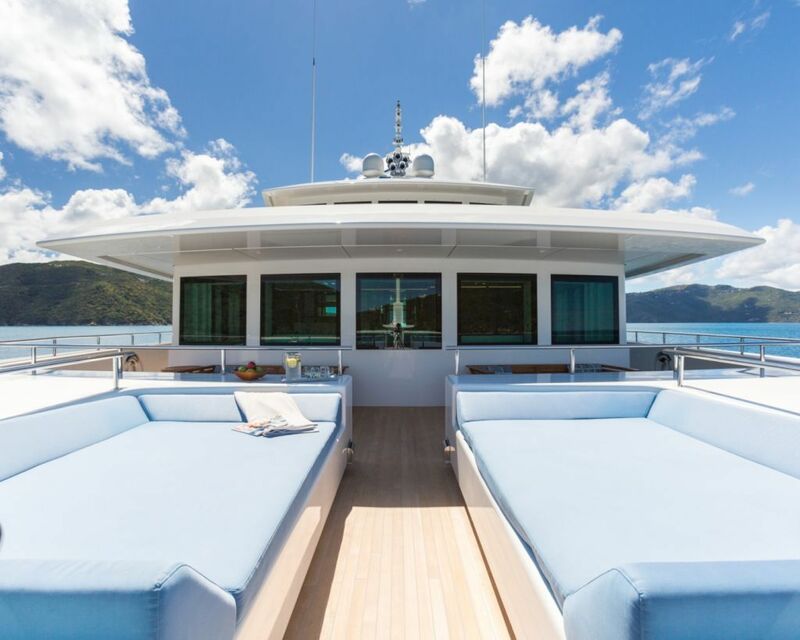 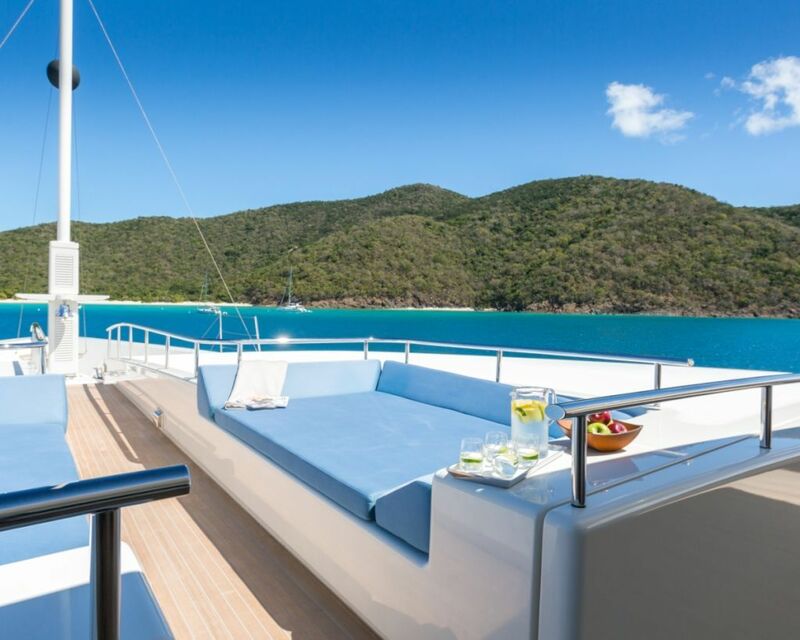 Charter guests have two alfresco spaces to choose from on the upper deck: The aft alfresco lounge containing a dining area with a circular table to seat 12 and stern-side seating, or the Portuguese deck which provides a quiet spot for conversation and sunbathing on the bow. 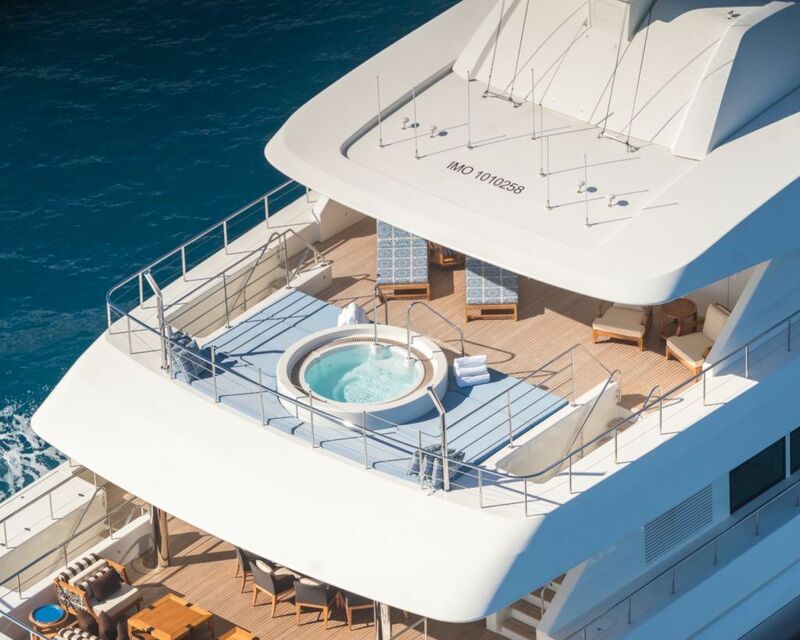 On the bridge deck stern there is a selection of sun loungers and sunpads surround the aft spa pool which has panoramic aft views of the surroundings. 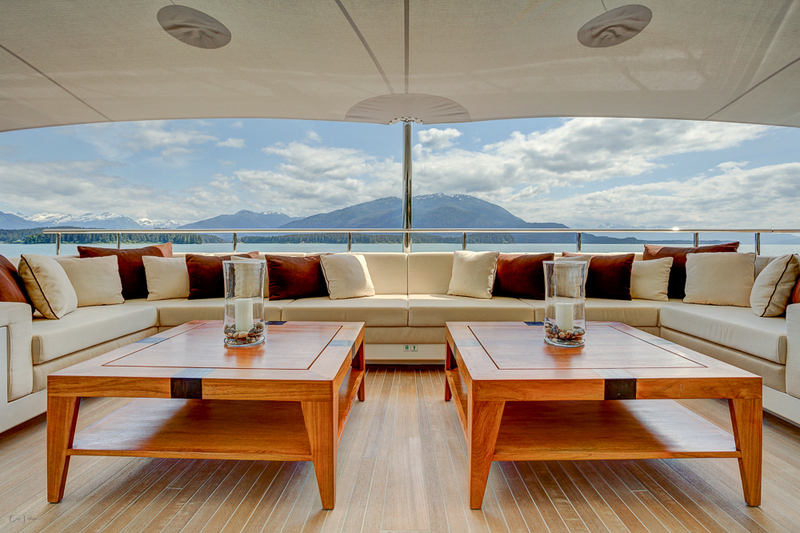 Above, the sundeck offers a secluded place to sit or sunbathe in privacy with elevated views of the surroundings. 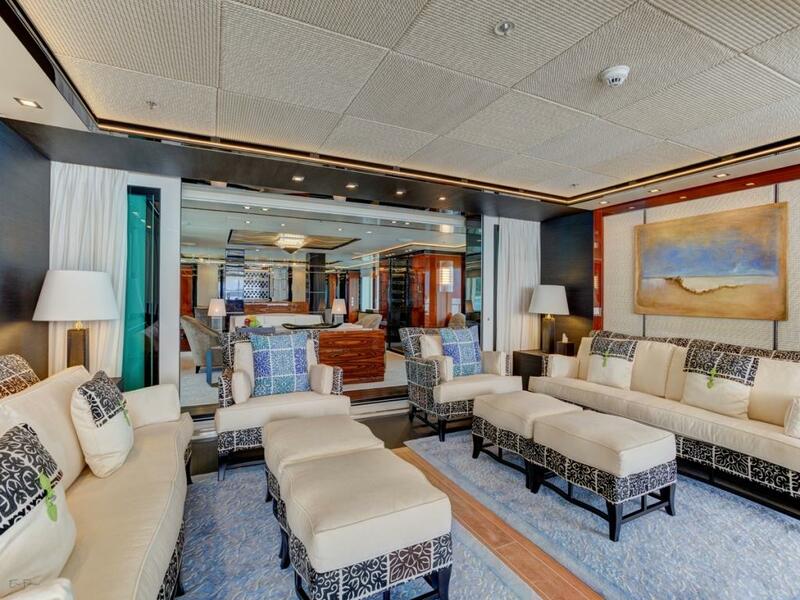 On the lower deck the broad beach club contains two sofas and there is room wither side for a gym and water sports room. 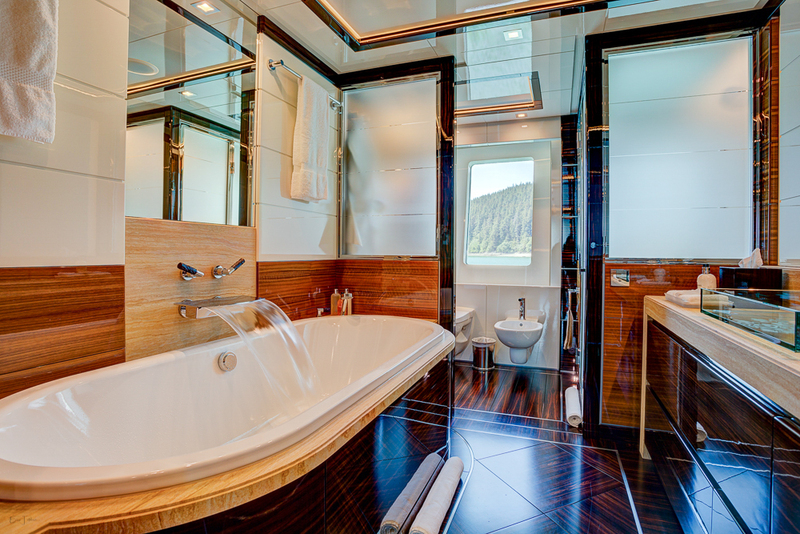 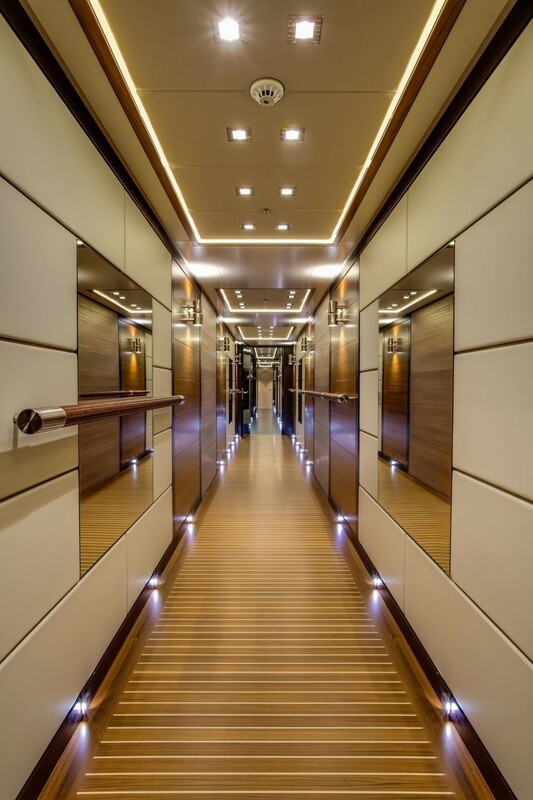 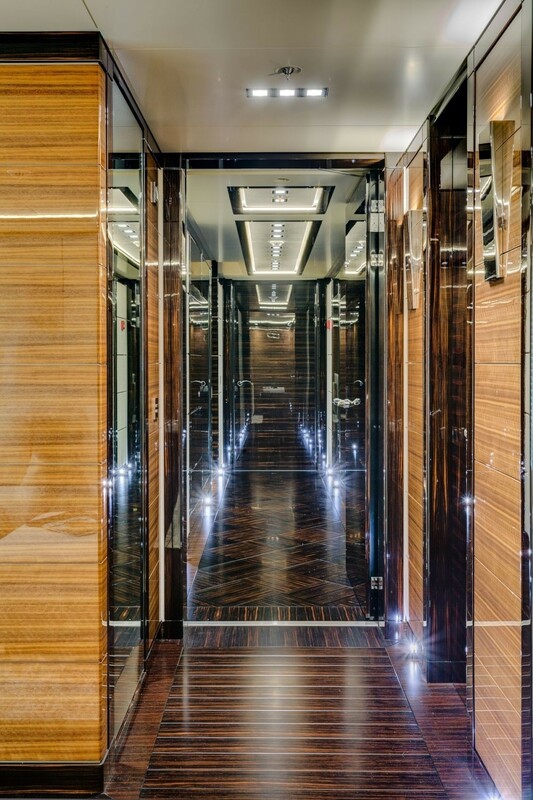 A passageway leads through the engine room to the guest accommodation consisting of two double cabins and two double cabins convertible to twins. 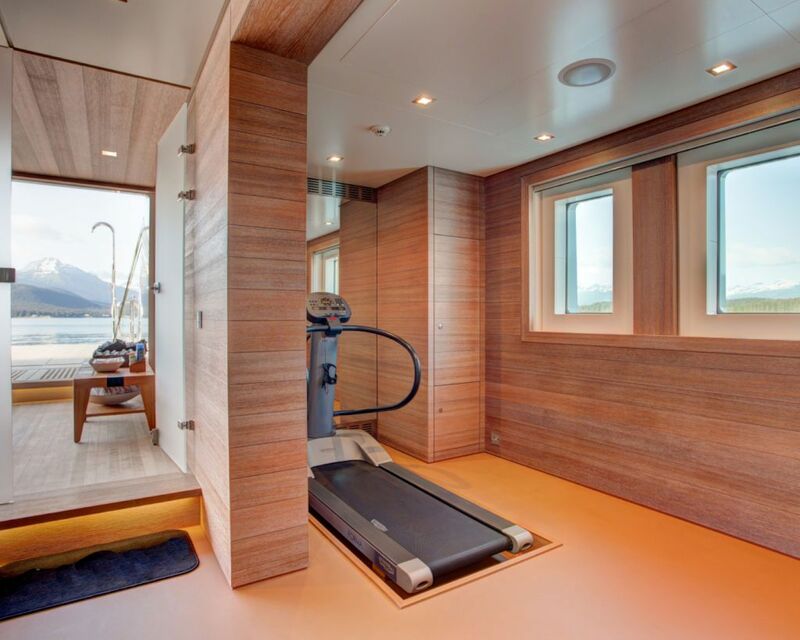 Crew accommodation and facilities are located in the lower foredeck with a storage space in the bow. 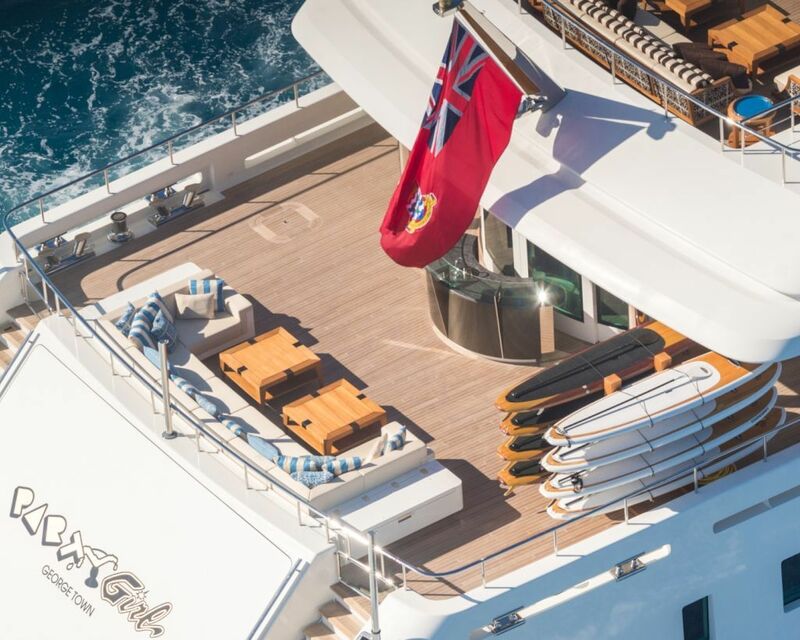 On the main deck, the bow section contains the tenders, which are launched by side-opening hatches and retrieved via a winch crane. 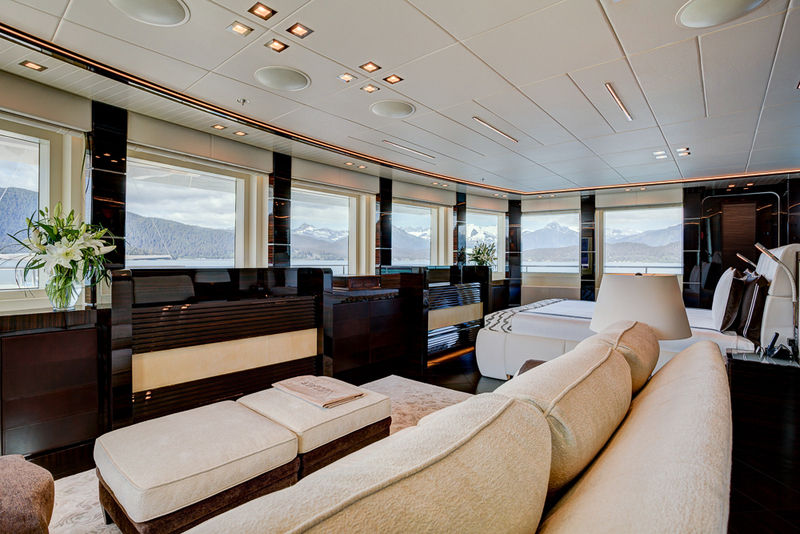 Behind, the full-beam Master suite has its own private lounge and en-suite facilities. 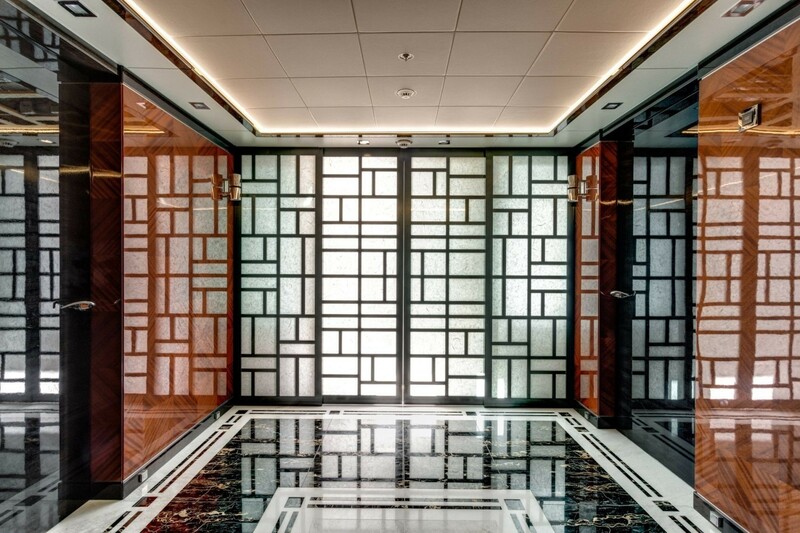 The main salon uses art deco and Asian influences to create an inviting open-plan space. 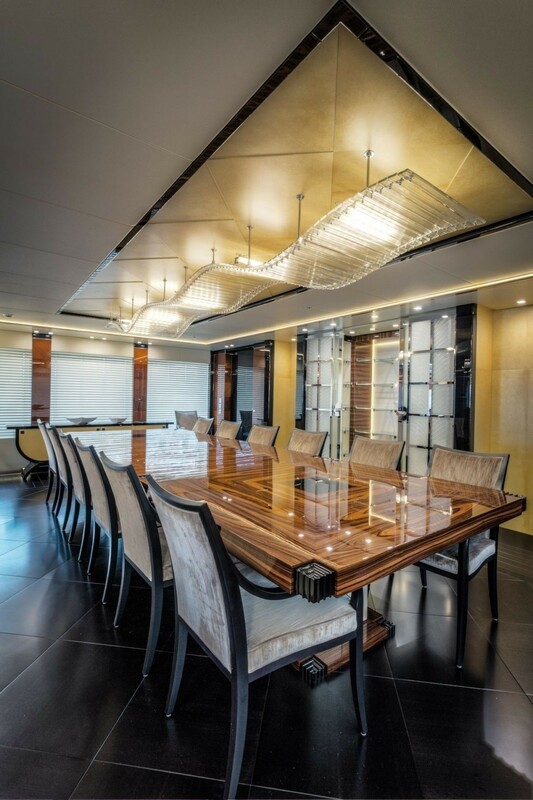 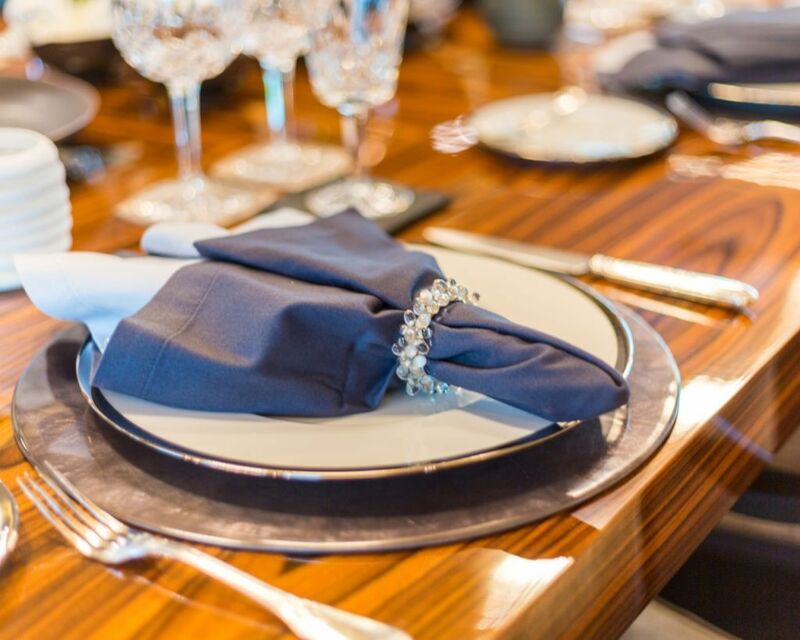 A grand table for 12 is placed forward, illuminated above by a bespoke light fixture and broad windows to port and starboard. 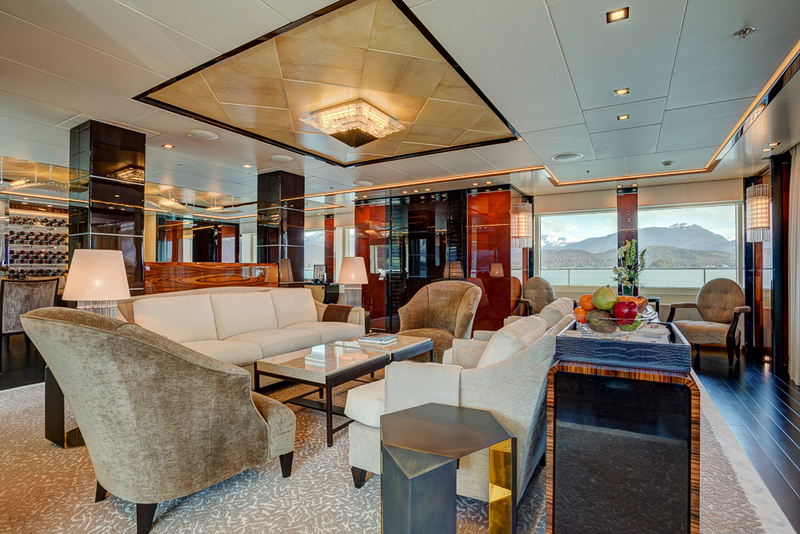 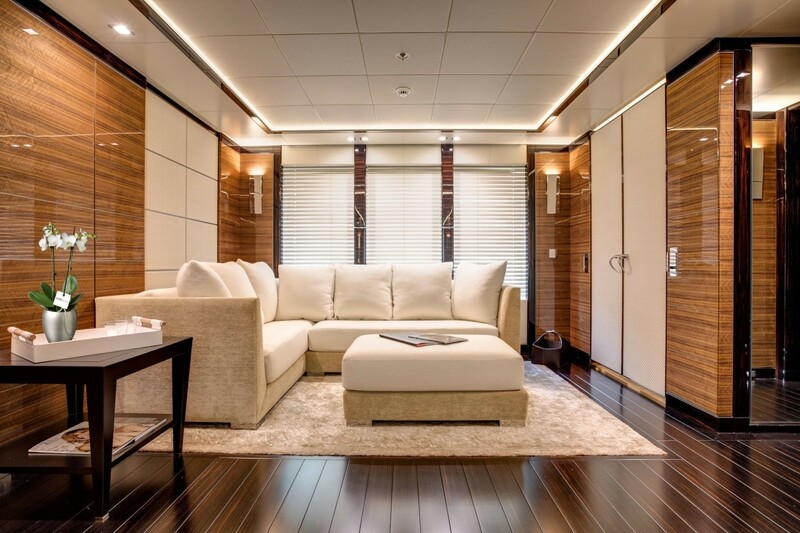 The aft lounge is an elegant place for guests to gather and socialise after a meal, while the corridor to the stern can be opened up to the fresh air and offers a more casual setting with two large sofas, armchairs and foot rests as well as a bar. 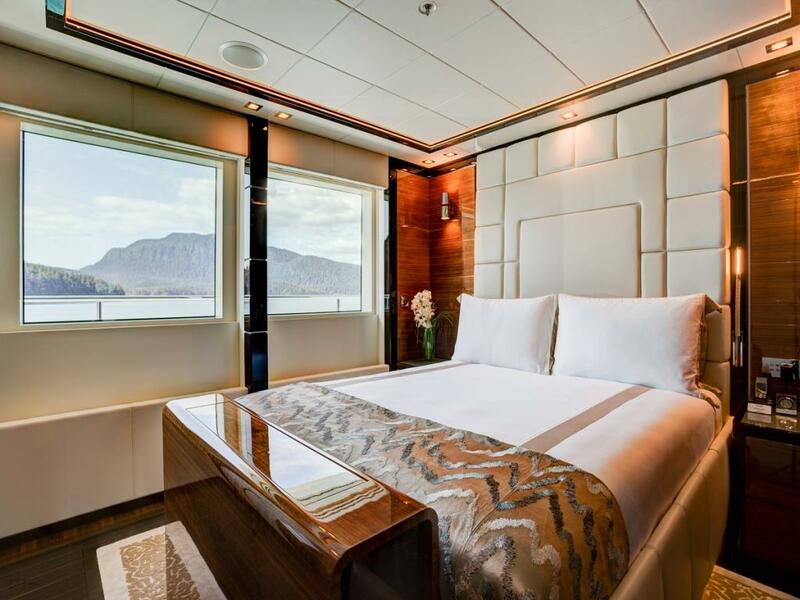 On the upper deck there is a spacious VIP stateroom with 280 views an an en-suite, a final VIP stateroom with en-suite facilities amidships and an aft skylounge, while the bridge deck above is dedicated to the captain's cabin, 1st officer's cabin and helm station. 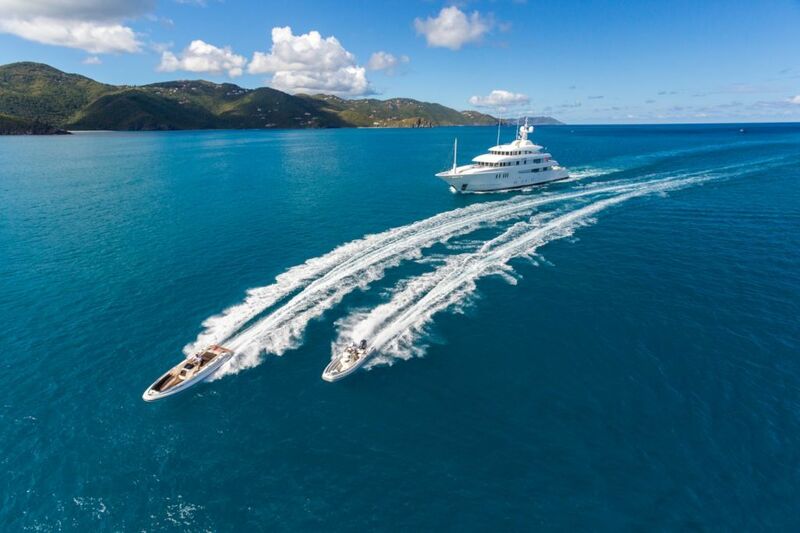 2 x MTU 12V4000 M71 diesel engines each producing, 2,480 HP provide a maximum speed of 15 knots, a cruising speed of 12 knots and a range of 6,000 nautical miles. 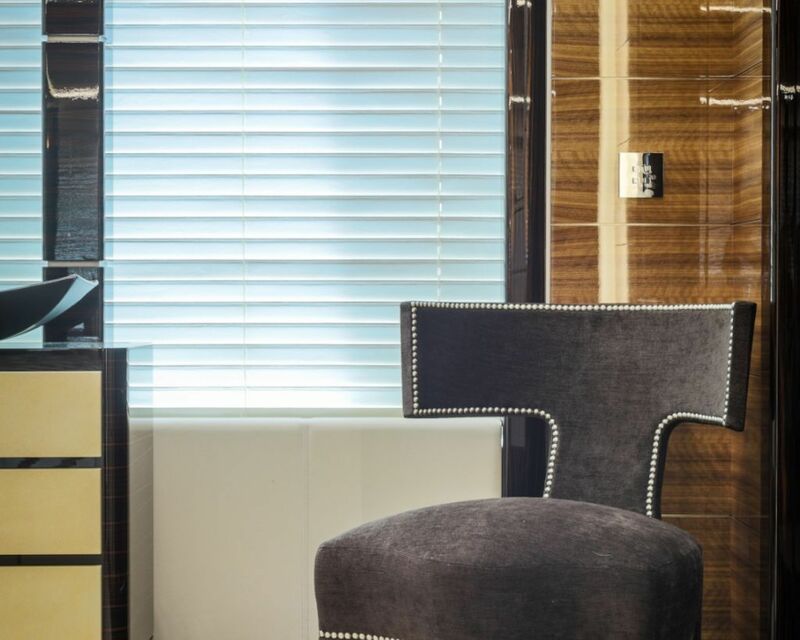 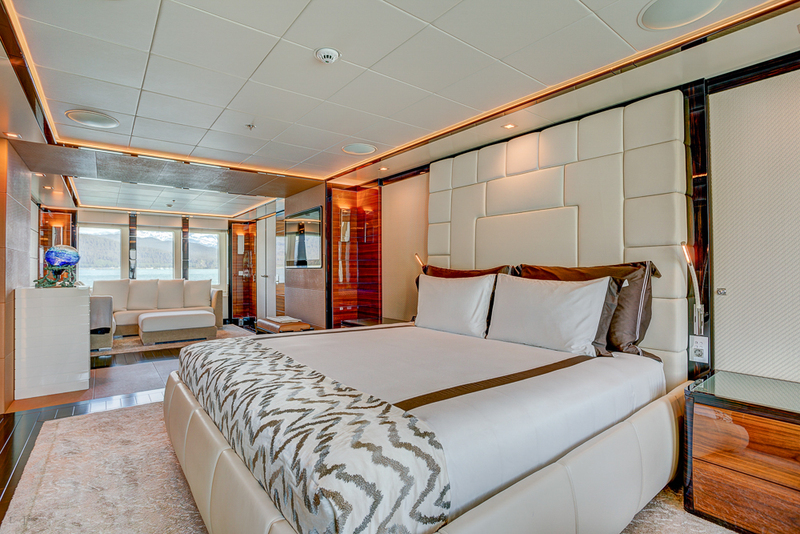 The accommodation sleeps up to 12 guests across 8 cabins: 1 Master suite, 2 VIP staterooms, 2 double cabins and 2 double cabins convertible to twins. 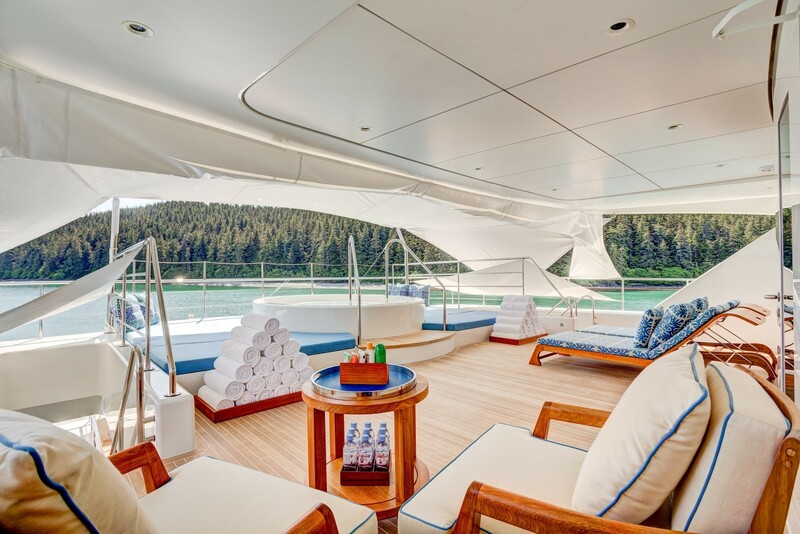 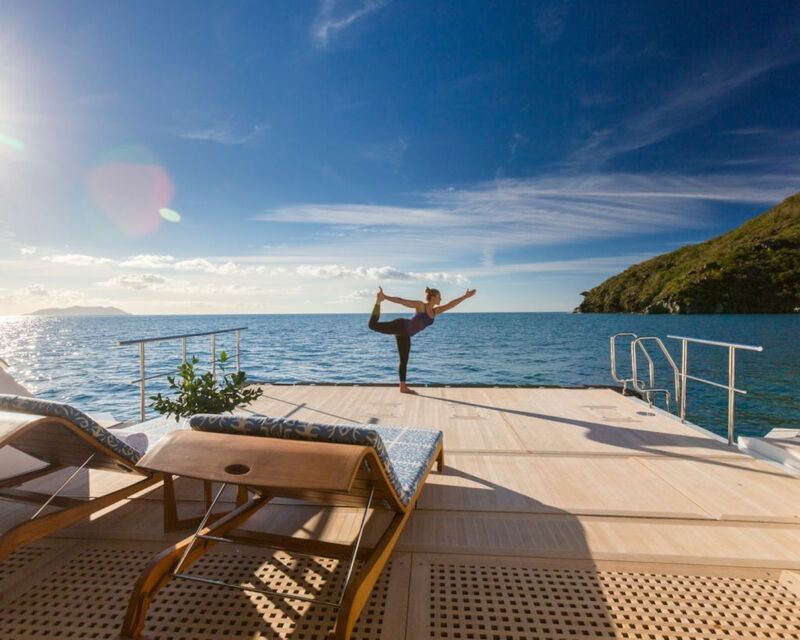 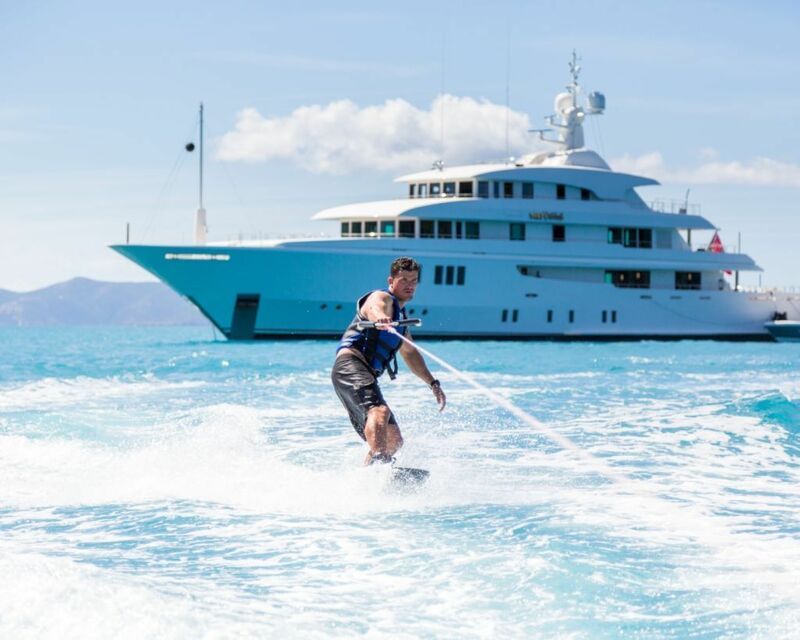 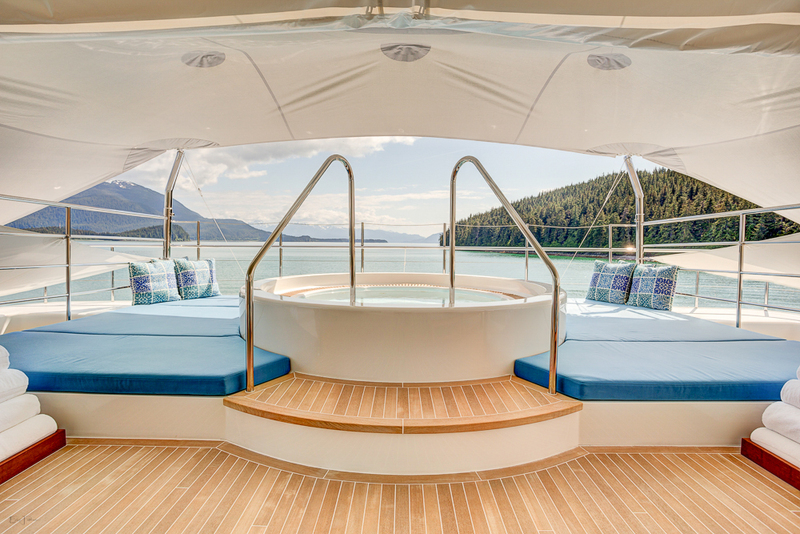 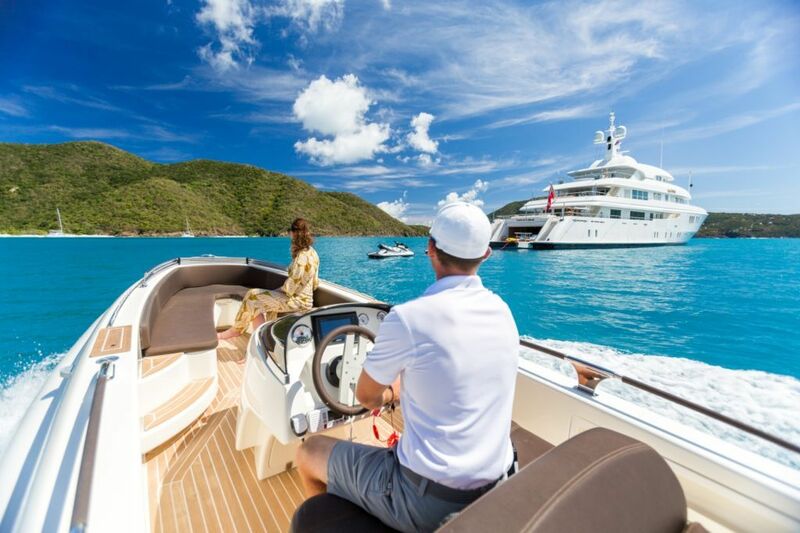 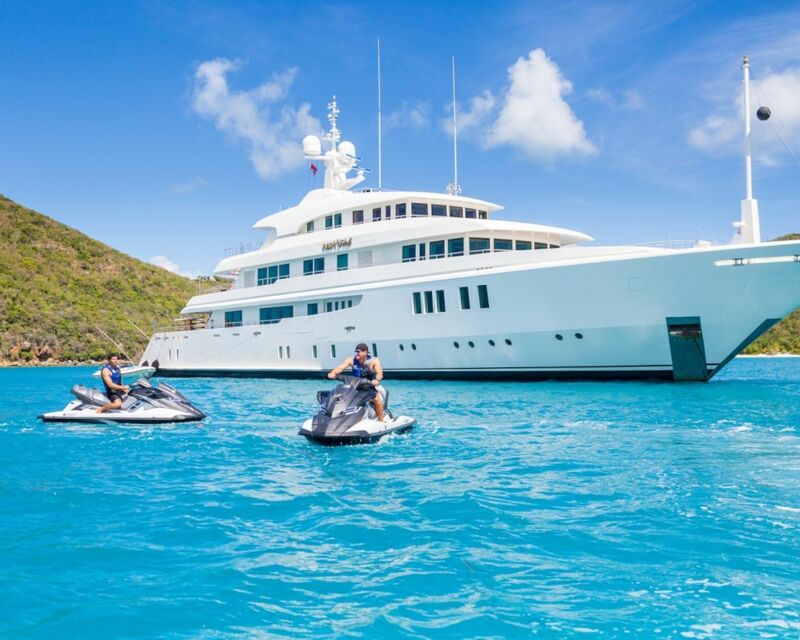 The crew of 15 will provide everything guests require for a fun and relaxing time throughout their stay on board. 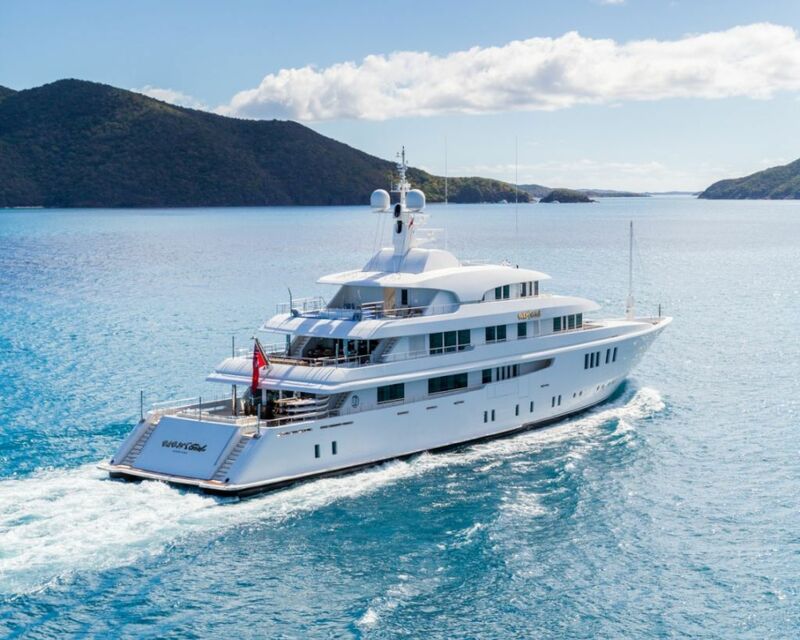 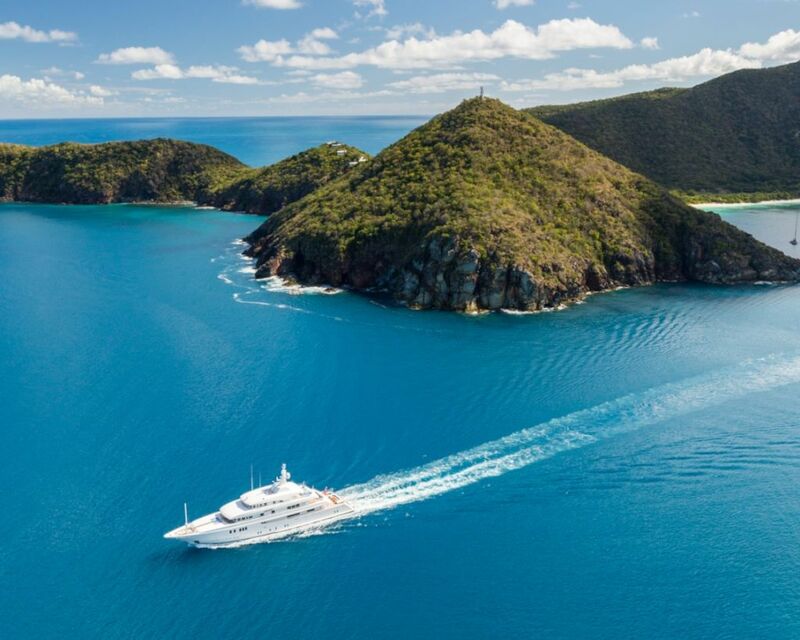 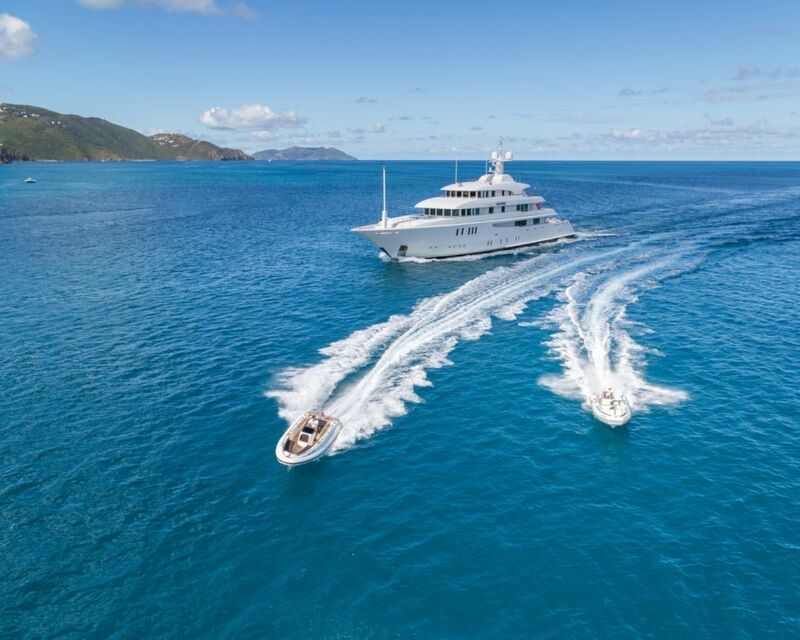 We do have available further amenity, owner and price information for the 62.48m (205') yacht 62M CUSTOM SUPERYACHT, so please enquire for more information.